The innovative sunscreen that blends seamlessly with your moisturizer or foundation. Luckily, we found the answer to your sunscreen woes. Dr. Barbara Sturm, the Düsseldorf-based orthopedist, has created the ultimate in sun protection. Deemed Sun Drops, this game-changing SPF 50 can be added to your moisturizer or foundation for a seamless texture sans white cast. Blended with a complex that includes vitamin E and beta-glucan (a type of sugar), it not only protects the skin, but also promotes the regeneration of damaged skin cells. 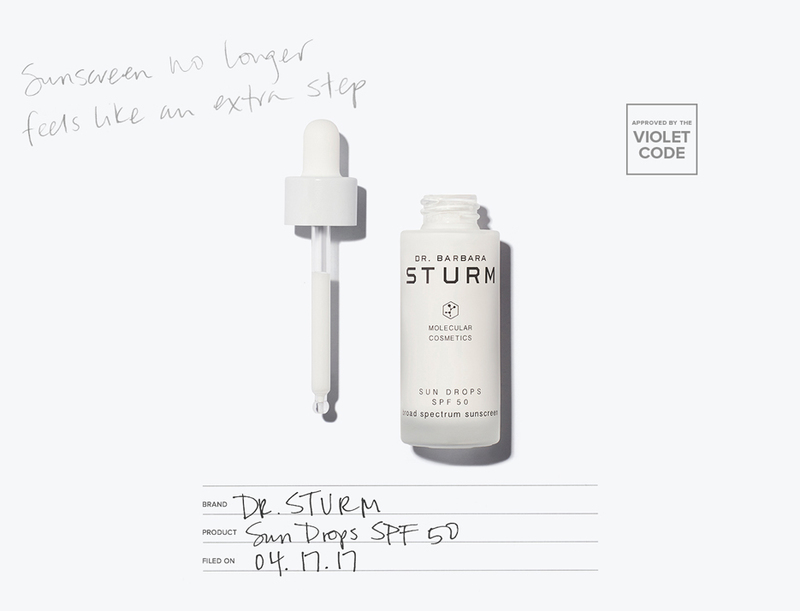 You can thank Sturm for making your skincare regimen slightly shorter.